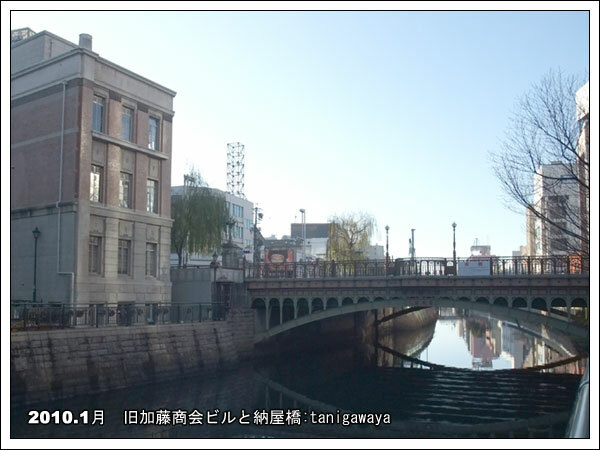 The Nayabashi Bridge spans the Hori Kawa Canal which runs alongside Hirokoji Street. 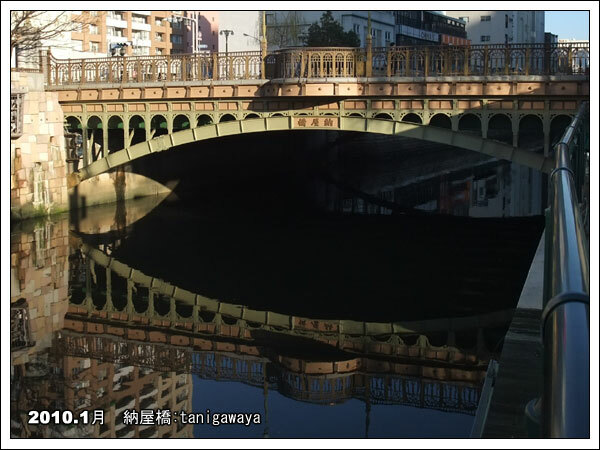 The bridge was built when the Hori Kawa Canal was excavated in 1610,along with the construction of Nagoya Castle. 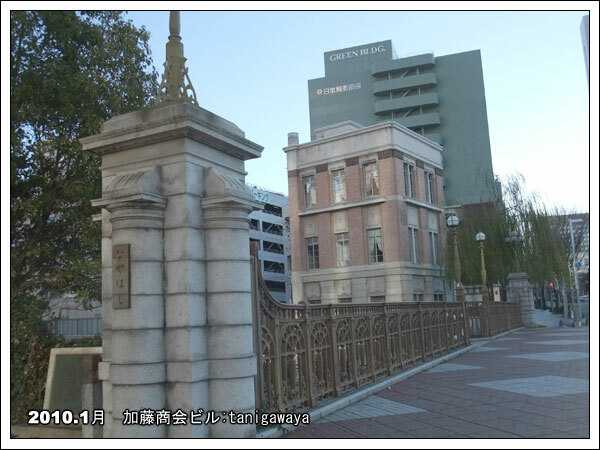 It is said that the bride was given the old name of the neary area. 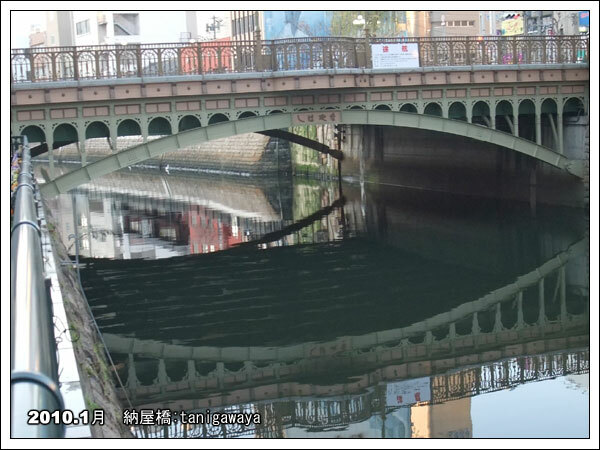 The bride was changed several times the reafter and It was rebuilt as a steel arched bridge in 1913. 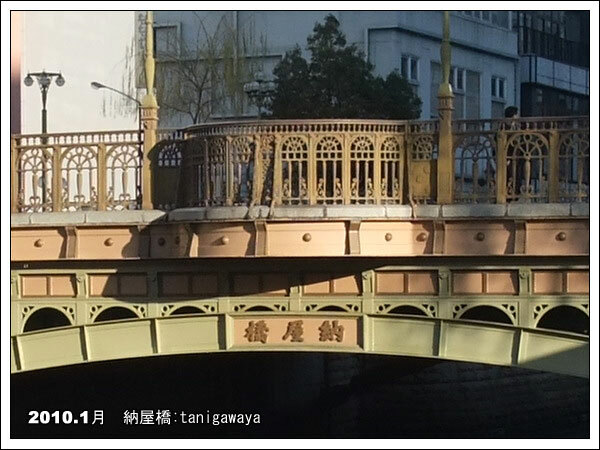 It has been very populer among the people of Nagoya as one of the finest bridges in the city. 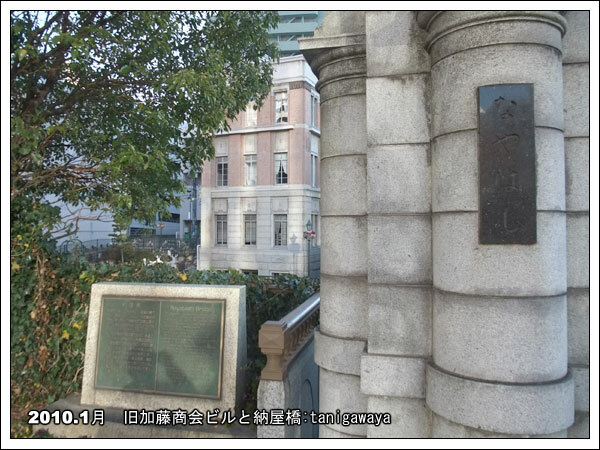 The crest of Masanori Fukushima directer general of the Hori Kawa Canalex-vation project, can be seen in the middle of the parapet, and on both sides of it there are the crests of the three Great heroes of the Nagoya area-Nobunaga Oda, Hideyoshi Toyotomi,, and Iyeyasu Tokugawa.